Click here to for location and direction details. The crew at Moving Water Outfitters would like to welcome you to our shop. As Central Indiana's premier fly fishing and kayak outfitter, our business is built on supporting the local outdoor community, offering educational opportunities, and providing the highest quality fly fishing and outdoor gear. We support the local community through sponsoring fishing and outdoor clubs, hosting and attending events, promoting conservation of our resources, and providing hosted travel to desired destinations. The shop provides educational opportunities through guest speakers, fly casting lessons, fly tying classes, and kayak paddling classes. The shop contains one of the largest fly tying sections around as well as a great selection of rods, reel, and lines for any skill level, budget, and presentation required. In addition to fly fishing, we support and stock a large selection of fishing kayaks and accessories. We love the opportunity that kayaks offer to fish remote areas and lightly traveled waters that many anglers miss out on. All of us here at Moving Water Outfitters have a passion for fishing and have a deep respect for the art and science behind fly fishing. Whether it is tying the perfect bug, casting a tight loop, or finding the right kayak to help you reach that unsuspecting smallmouth - we are here to help. Chris is a mechanical engineer by day but refuels his soul with the outdoors. He enjoys fishing, kayaking, hiking, camping, mountain biking, and photography. Chasing trophy fish in rivers and streams is his main passion whether it be with a fly rod or conventional gear, wading, or from a kayak. This passion is where the name for Moving Water Outfitters stems from. Chris loves to travel and incorporate as much of the above as possible with his beautiful wife Jessica. 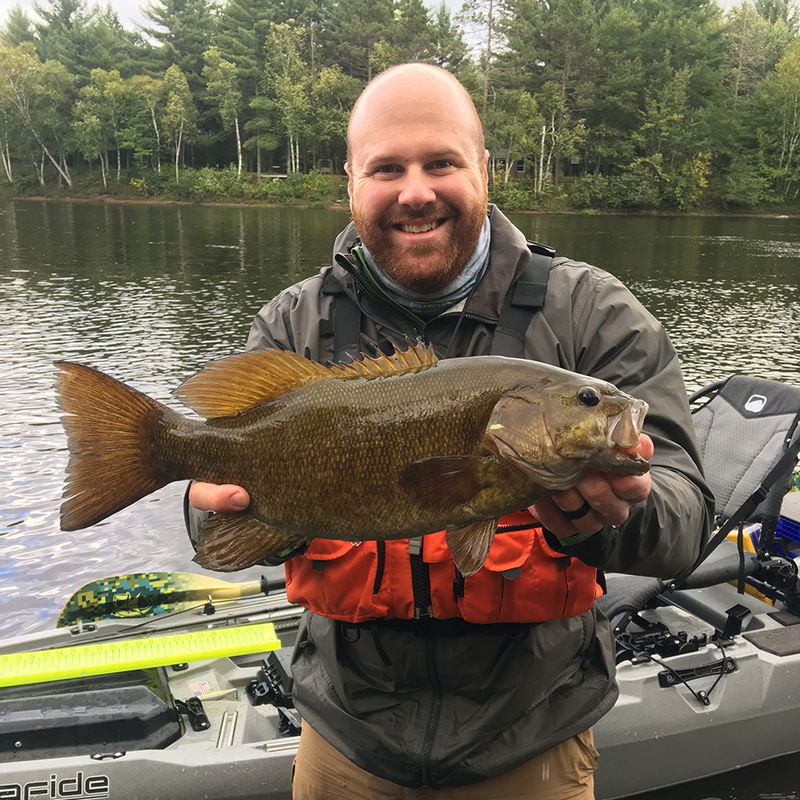 Beyond our local waters - he can be found chasing trophy smallmouth on the Menominee River in Wisconsin and the Susquehanna and Juniata Rivers in Pennsylvania. 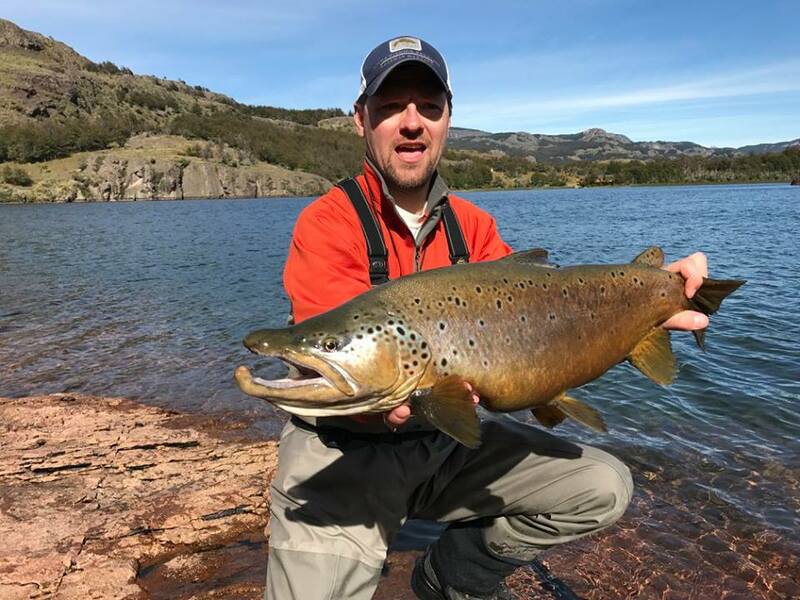 His favorite trout destinations include the Snake River in Idaho and its beautiful cutthroat trout along with the Patagonia Region and its pristine rivers, spring creeks, and mountain lakes. His most recent endeavors include searching for citation shoal bass on the remote parts of the Apalachicola river basin and Michigan steelhead. Mike Exl is the store manager and an owner of Moving Water Outfitters in Zionsville, IN. He also runs his own guide service in the area as well. Mike was born and raised in Northwest Indiana. He was introduced to fishing very early on, thanks to his father and brother. He started fly fishing at a very young age, and it quickly became his only method of fishing. While attending Purdue University, he began to work and guide part time for the local fly shop. Upon graduating from Purdue in 2009, Mike went on to working full time for the fly shop. Mike has been very fortunate to have traveled to many places around the world to fish. He has spent time in Alaska, British Columbia, Chile, Bahamas, Mexico, and all over the United States. When not heading to more exotic locations, Mike can be found traveling the Midwest. He specializes in smallmouth and carp, but loves fishing for Great Lakes steelhead with a two-handed rod. Marc developed his passion for fishing as a bicycle peddling young angler, hopping from farm pond to farm pond in northern Indiana. The fishing bug came from his mother’s side of the family. Marc opened Eagle Creek Kayaks in 2007 which catered to an emerging kayak fishing population that has now turned into a full blown sport. Marc has experience in almost every fishing kayak made and will continue to push the sport of kayak fishing to new levels. 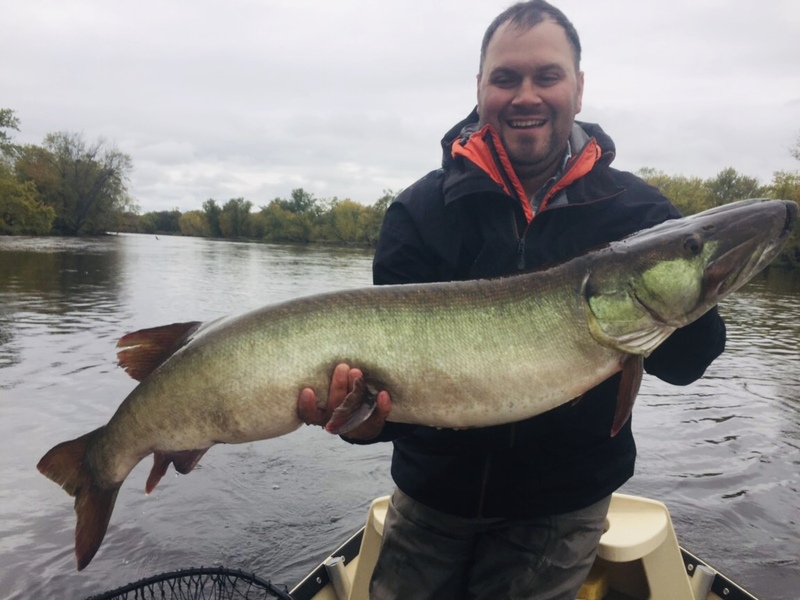 An avid fly angler, he has traveled the world in search of his latest “Fishing Fix”, all while discovering great friends and relationships along the way. Some favorites include, Chile, Mexico, Bahamas, Alaska and Brazil. Currently teaching and guiding fly fishing, kayak fishing and hosting fishing expeditions all over the world, Marc is always willing to talk fishing and explore new fishing opportunities.